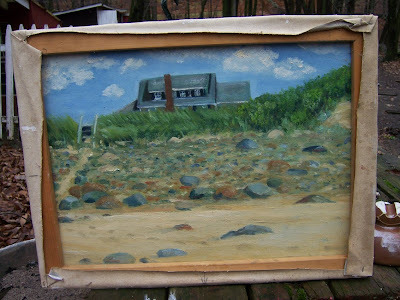 During the Cape Cod years I was painting quite a lot.. so much and sometimes so fast I would just recycle canvases. This week we'll start with the Bagley house but then beach-side on the back-side. 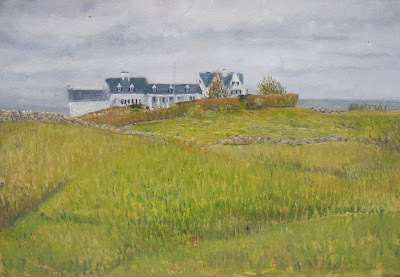 The second painting is of the old Stone- house. 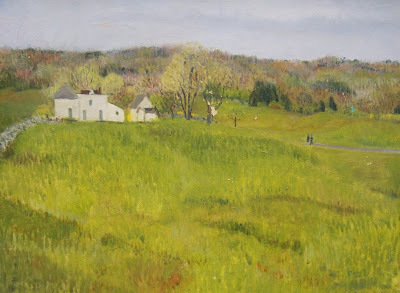 A sprawling estate that used to be on the hill above Stephen Phillips Road, surrounded by meadows and hedgerows. Just accross Bridge Street from S-P Road and down along Old Town Lane I painted this scene. Painted on a recycled canvas this is the only one that ever started chipping. 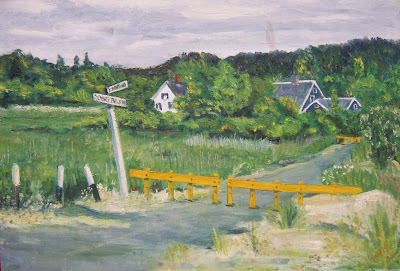 In the background you might see two people walking along Sesuit Neck Road. 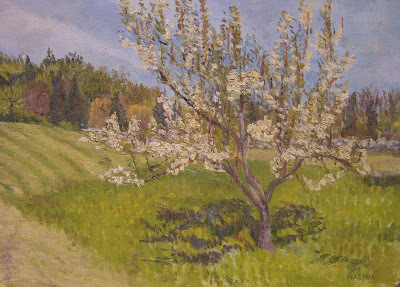 It is from about there that I painted the Pear tree below. This tree still stands some 32 years later. 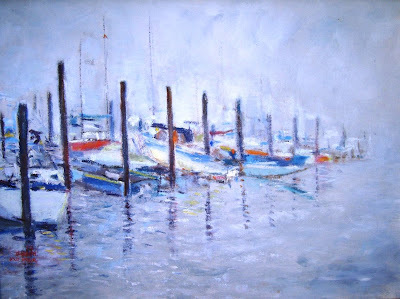 I got up really early one morning and went down to Sesuit Harbor to paint the colorful boats in the morning mist. This painting is in private collection. These are the flats outside of Brewster, Ma. nearby the estuary of Quivet Creek. We call them "Crow's Pasture". 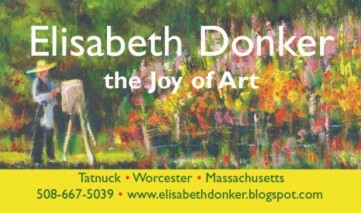 This painting is in private collection as well. 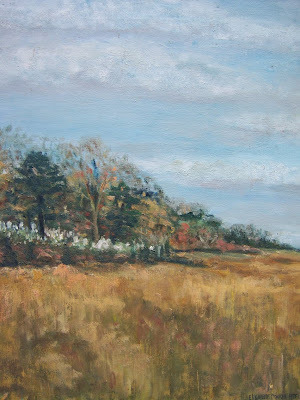 This painting is of Quivet Cemetery in Brewster, painted from Sea Street the closed road as we call it. See the next painting. 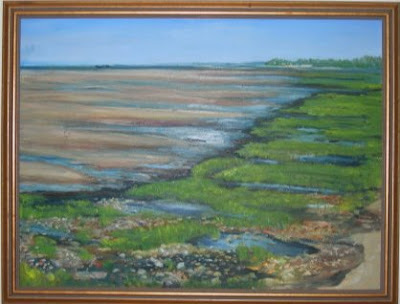 I would like to express my appreciation to family members, old friends and valued customers that were so kind to send me photographs of paintings I knew were out there but in many cases had not seen for many years.